Podcast 267: The Curious Case of Ove Logmansbo. 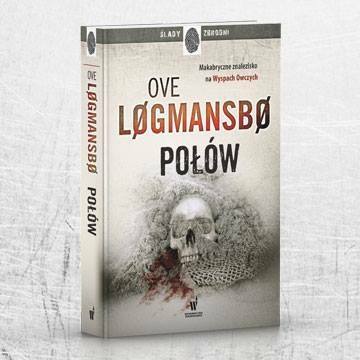 This week, we learn about Ove Logmansbo, he's an author who has set a Polish-language crime novel in his native Faroe Islands. But the real mystery may be the author himself. While Ove claims to be half-Polish and half-Faroese and to have spent much time in the Faroe Islands, details contained in the novel suggest these claims might not be true. We'll talk to Kinga Eysturland, who is from Poland, but also reads Faroese and speaks flawless English. She'll explain what details in Logmansbo's book raised red flags for her, and her unsuccessful attempts to contact the author. Then we'll travel to Gota and visit a very nice soccer pitch. As always, you can listen on iTunes, on the media player at the top of this page, or on Stitcher Smart Radio. Or you can download the show directly here. In this special edition of the podcast, we travel to Portland, Oregon to talk with the leader of Faroese metal band Tyr. We also ask some people in line what they know about the Faroes, and take a drive to the bottom of the ocean. In this mini-podcast, we hear the remainder of Jenny's interview, get an update on a Danish reality program, and get a preview of next week's special podcast. In episode six, we speak with an American woman who splits her time between San Francisco and the Faroes. We also meet a Faroese musician who won the right to play at South by Southwest in Austin. And we take a stroll among the trees (what few there are) in Torshavn. In this episode, we hear about the Faroese music scene, learn about a pivotal moment in Faroese history, and listen to the Law Thing. In episode four, we get a lesson in the history of Faroese politics, learn about a TV series being shot in the Faroes, and take a trip to the airport. In this episode, we learn about the upcoming G! Festival, talk to the woman responsible for attracting tourists to the Faroe Islands, and stand in the center of Torshavn. In the second edition of the podcast, we debunk some common myths about the Faroe Islands, take a walk through the mall, and try once more to pronounce the word "Torshavn." In this first edition of the Faroe Islands Podcast, we hear a little news about the Faroes, get some background on the islands, and hear a field recording taken in Torshavn. That, and the host mispronounces some Faroese words.